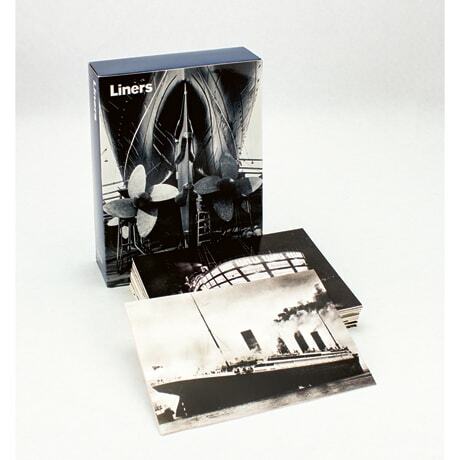 With black and white shipyard views and underway portraits of great ocean liners—from Titanic under steam in 1911, before her disastrous maiden voyage, to the elegant glassed-in stern of Oriana in 1960—these notecards capture the sheer scale of these gigantic queens of the sea. Presented in a handsome slipcased gift box, the assortment features 30 unique subjects from Getty Images. The blank cards measure just over 4½ × 6½ inches, and the set includes 30 off-white envelopes.